This is a custom Kimono that was made to client specification with custom artwork. 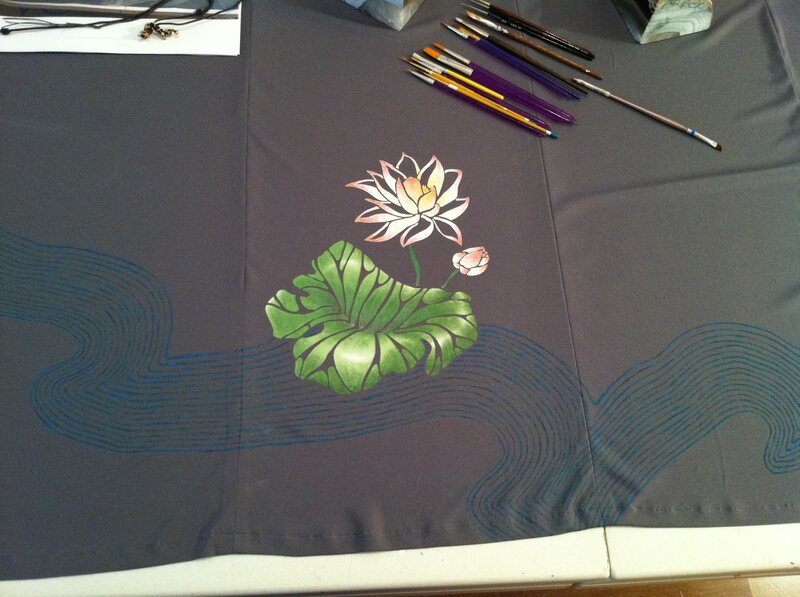 The Kimono is made of knit jersey (not something I would recommend), and painted with fabric paints and dyes. I am willing to paint another kimono but I do not think I will be sewing one again. This entry was posted on July 17, 2012 by lotusii in For Sale or Sold. Stuff with our logo on it!